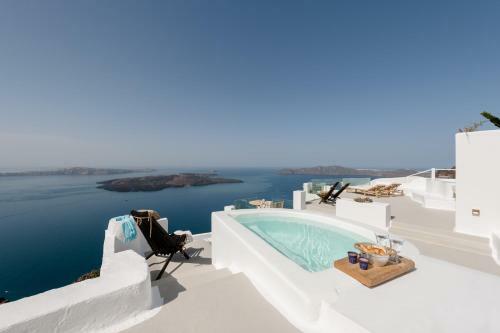 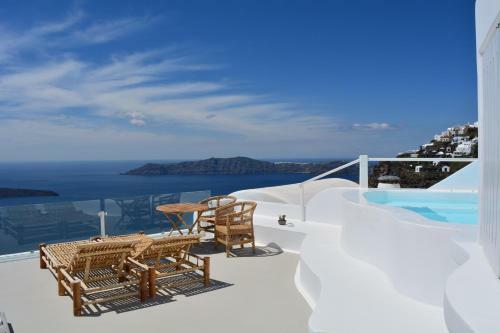 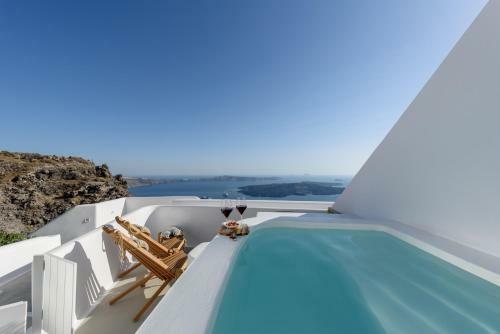 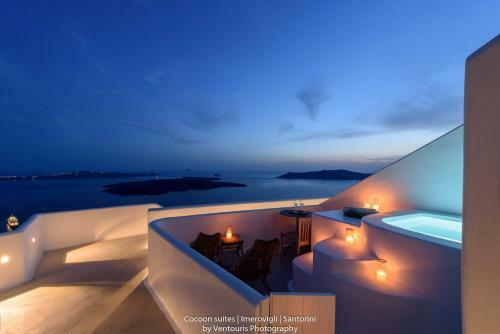 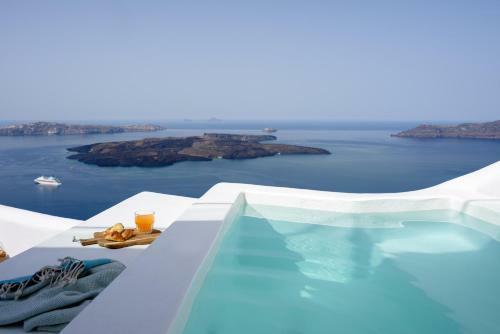 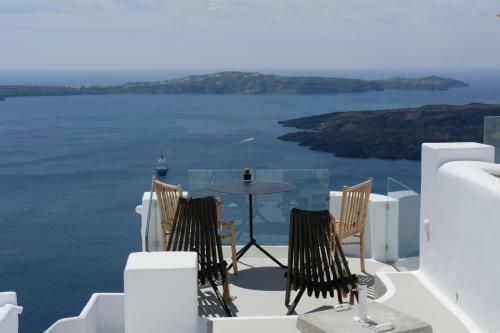 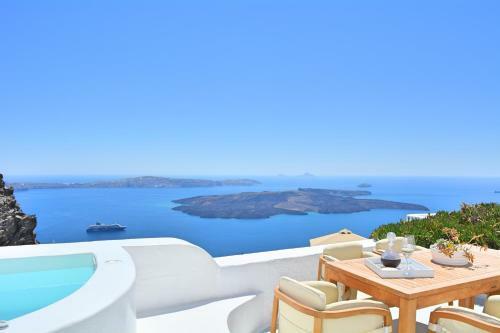 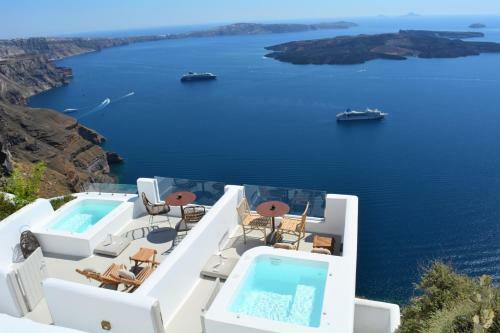 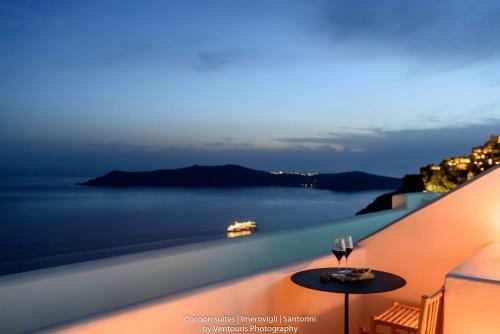 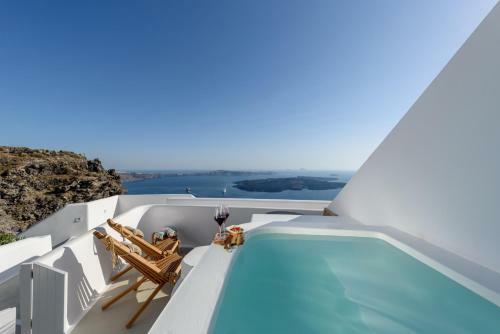 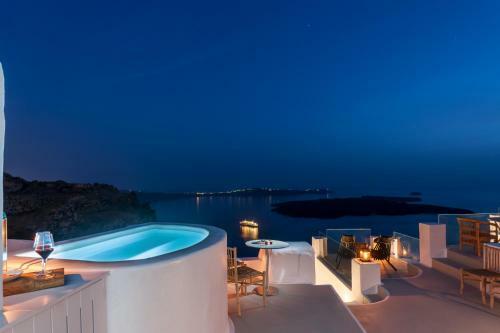 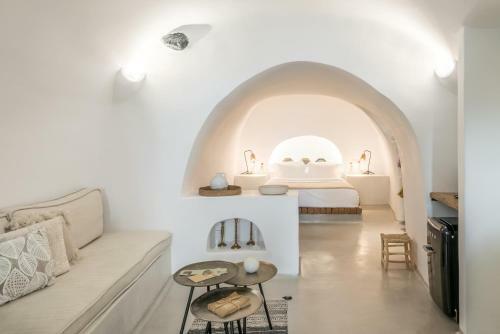 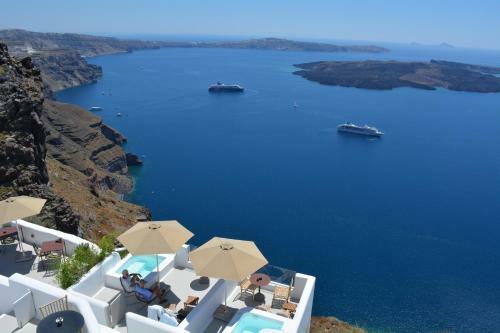 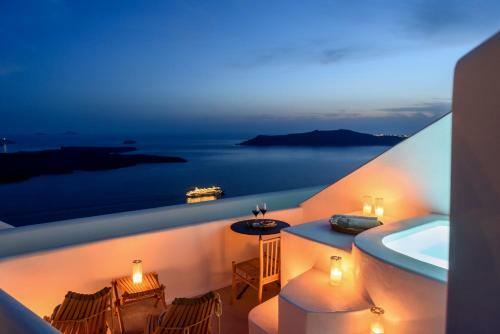 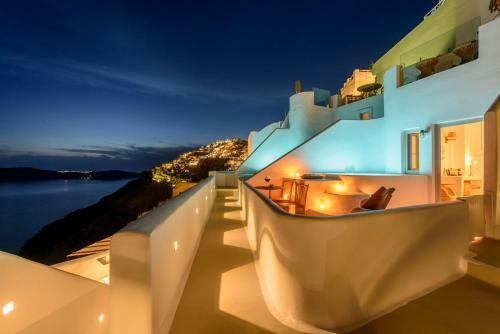 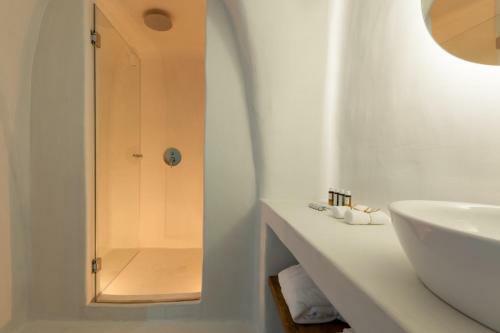 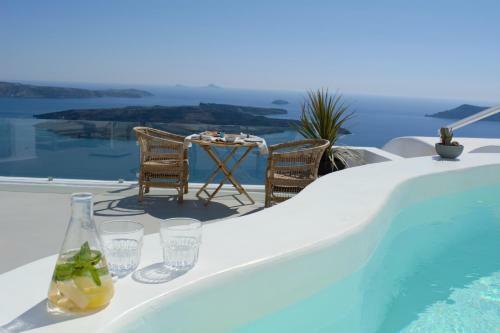 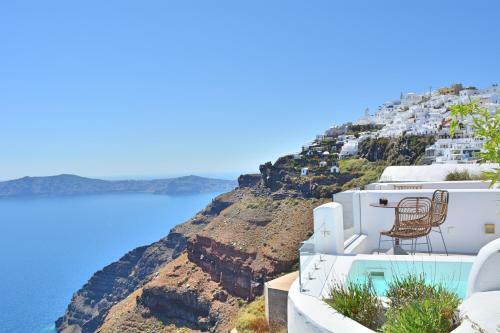 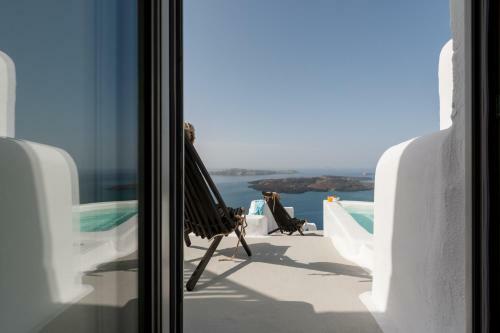 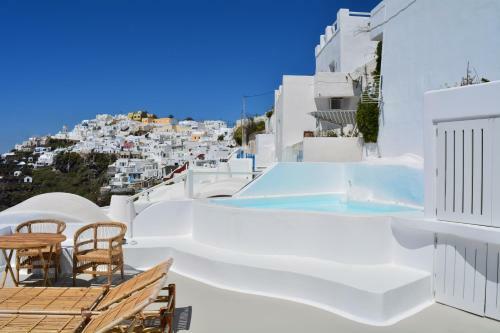 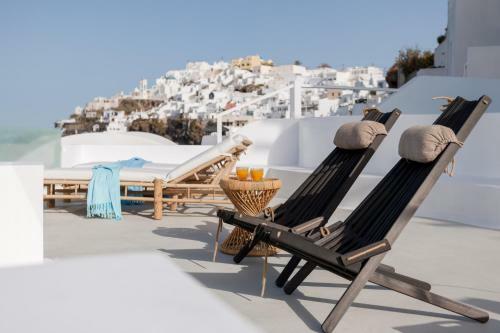 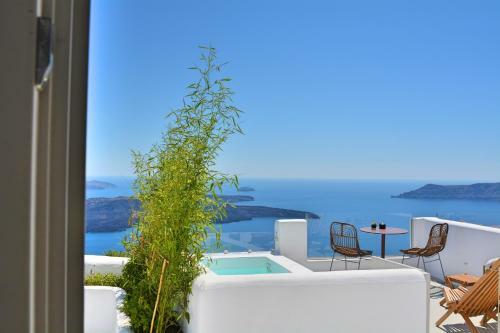 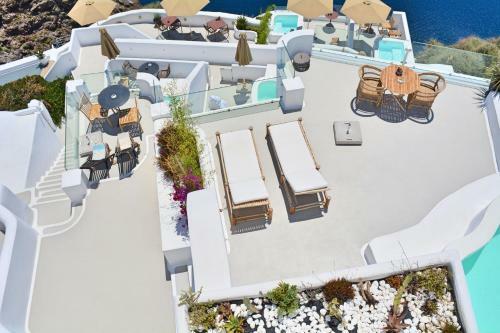 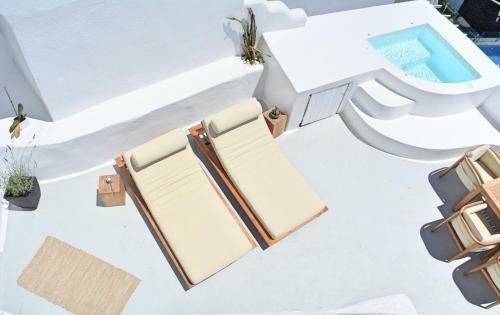 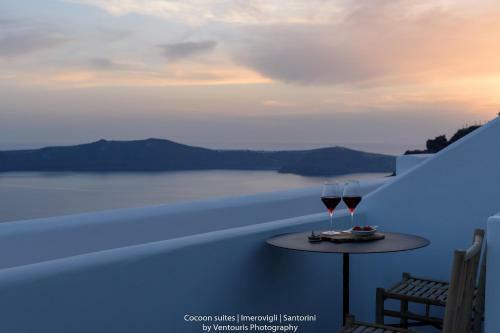 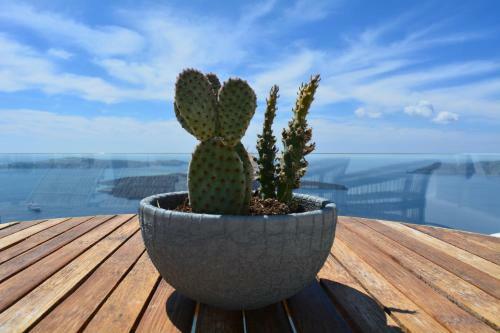 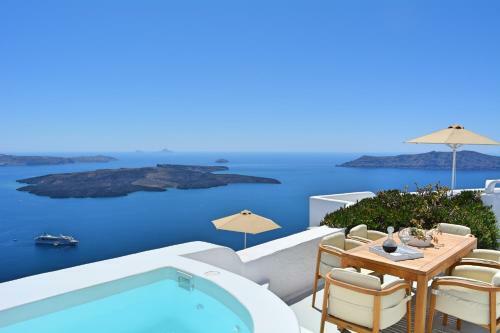 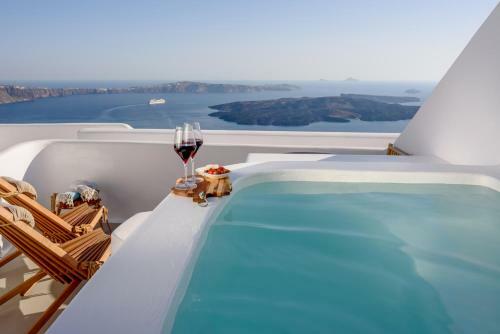 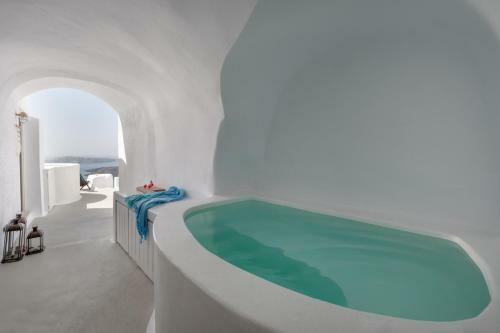 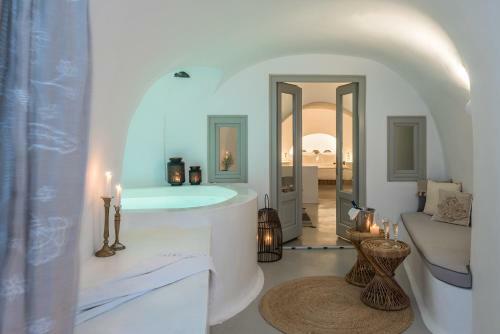 Offering panoramic views over the Aegean Sea and the volcano, Cocoon Suites offers accommodation with hot tubs or plunge pools, located in Imerovigli. 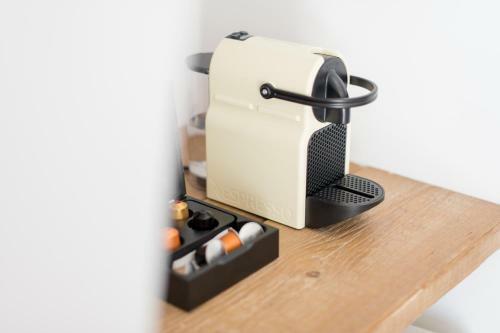 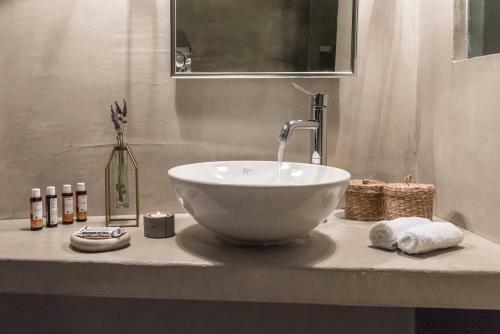 Guests can enjoy the on-site bar, as well as in-room candlelit dinners with organic meals made with local produce. 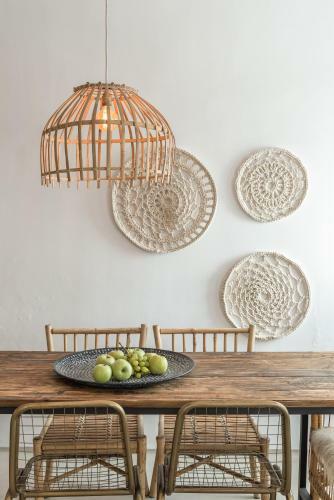 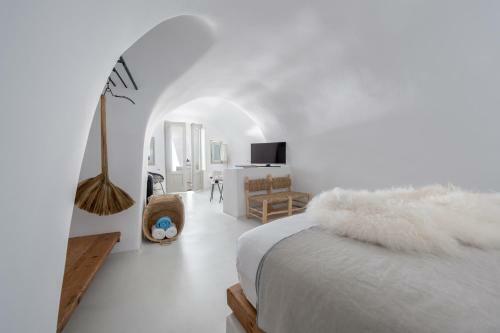 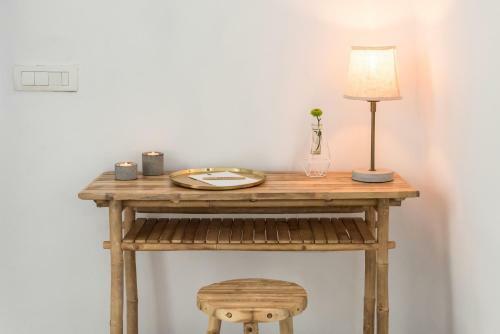 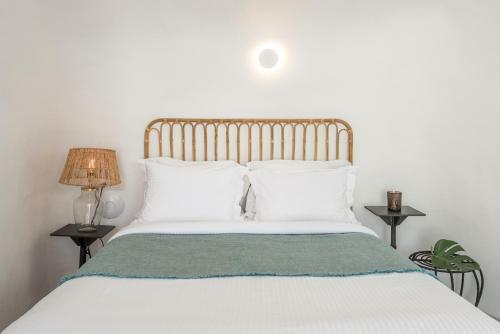 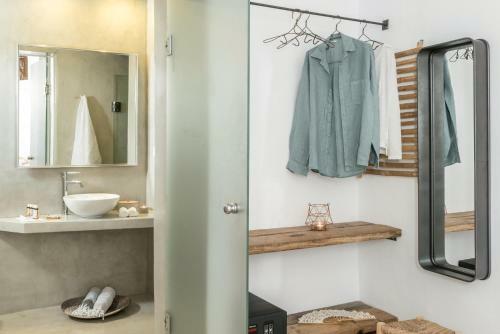 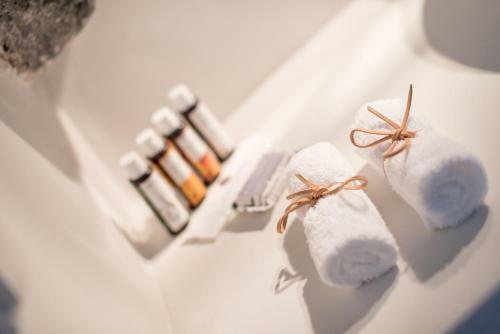 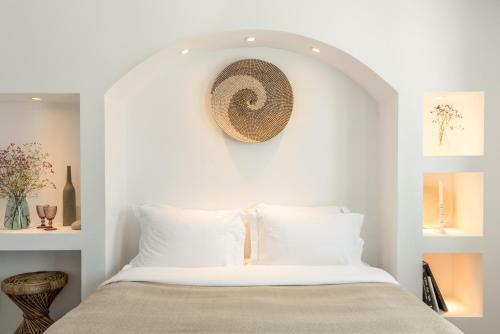 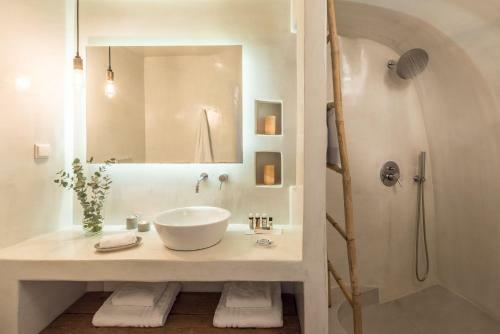 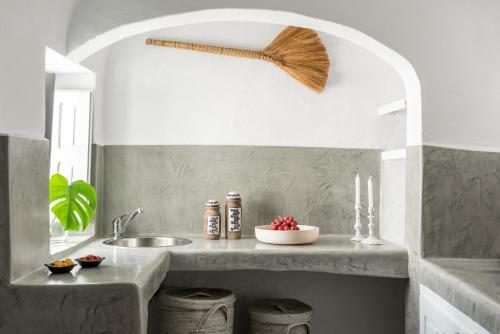 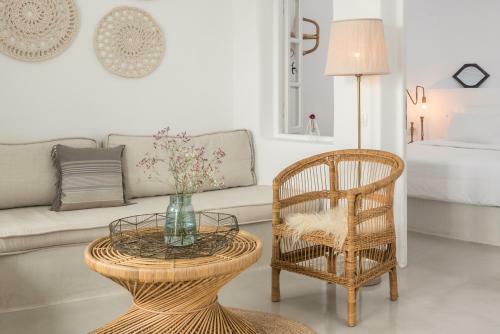 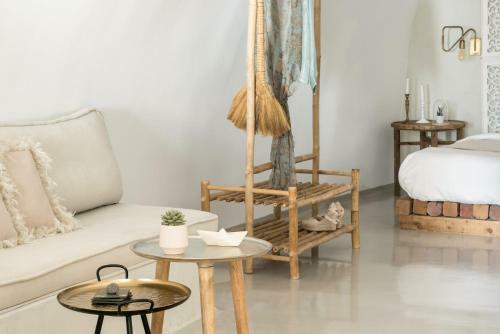 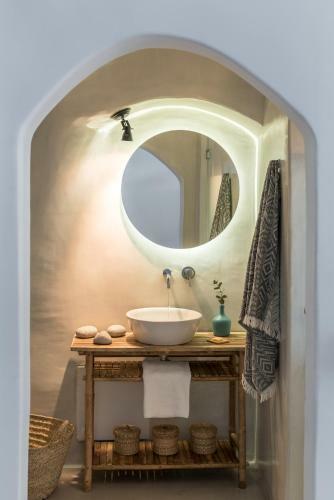 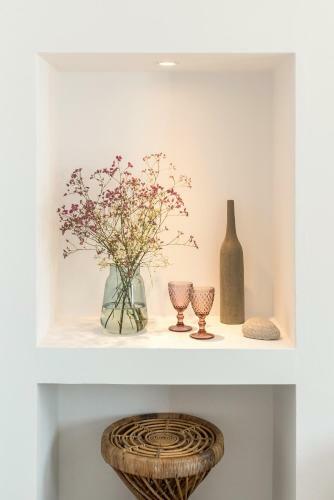 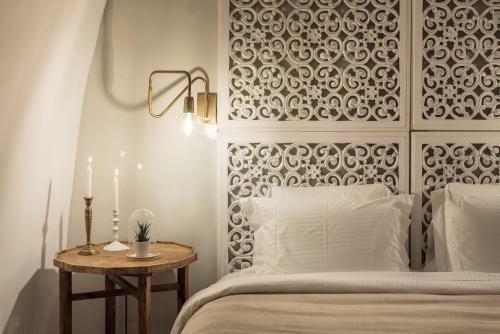 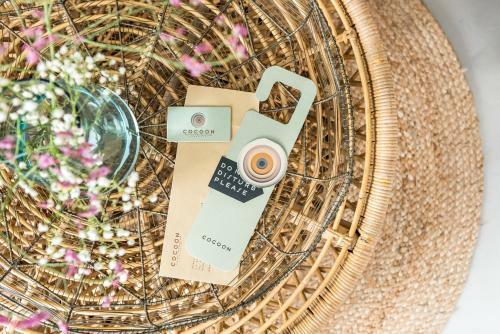 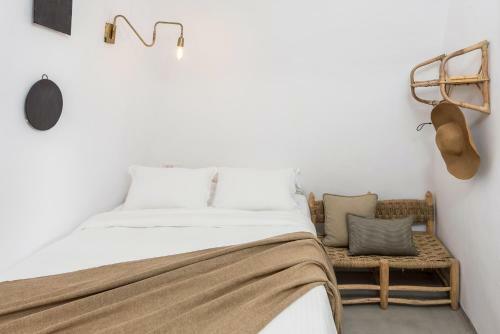 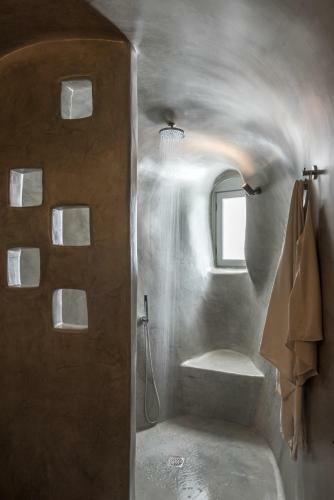 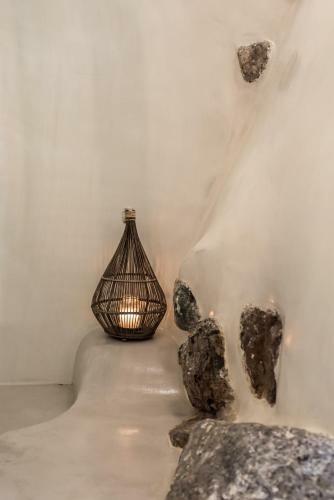 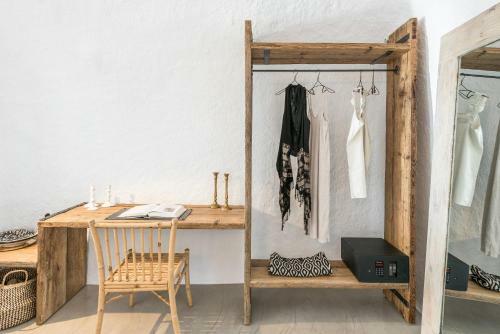 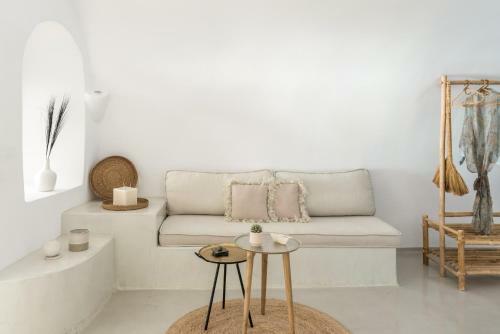 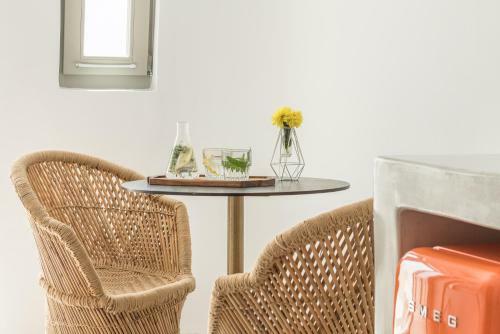 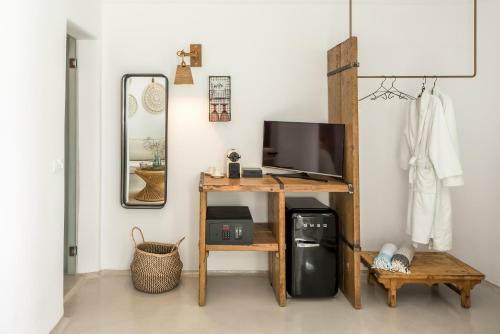 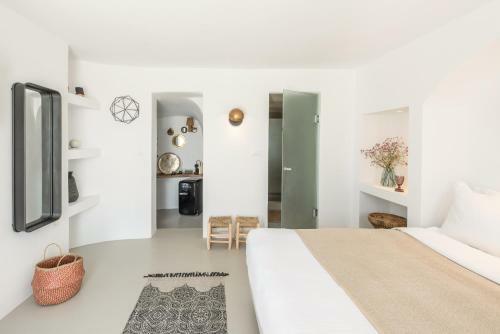 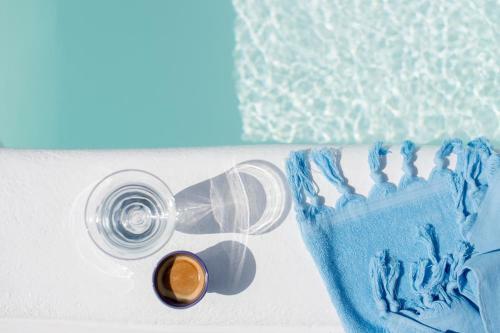 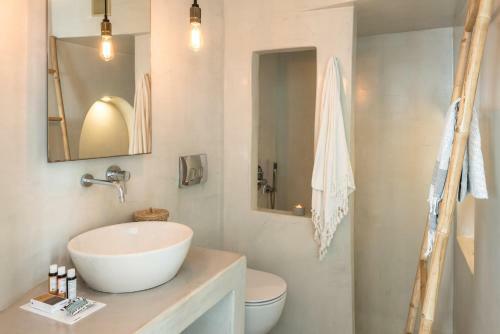 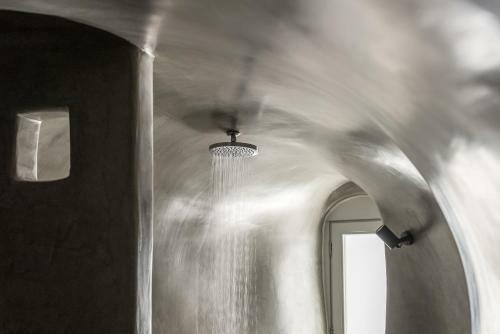 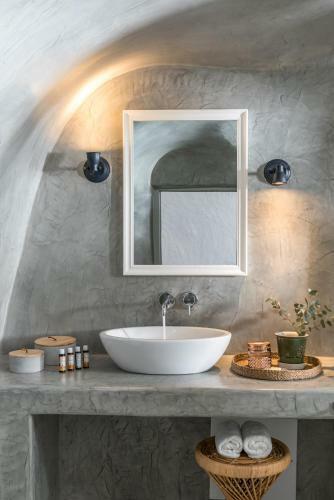 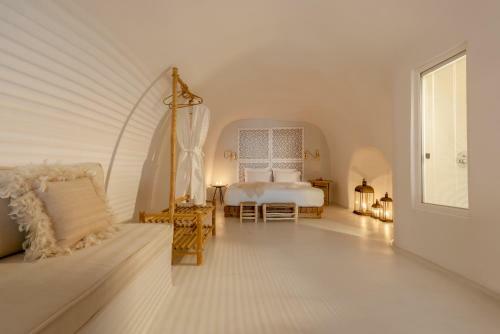 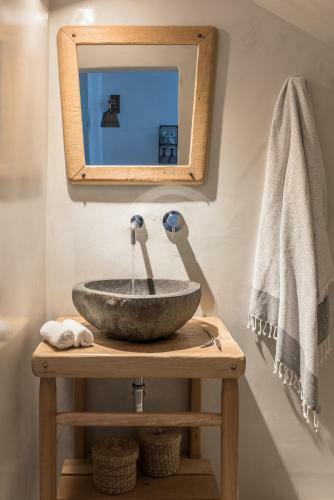 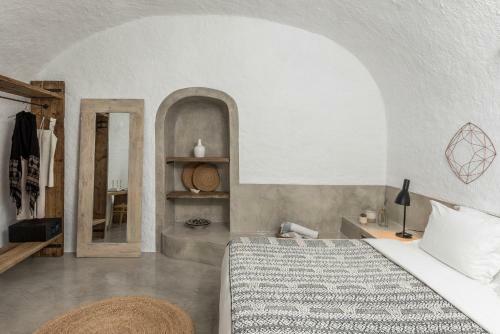 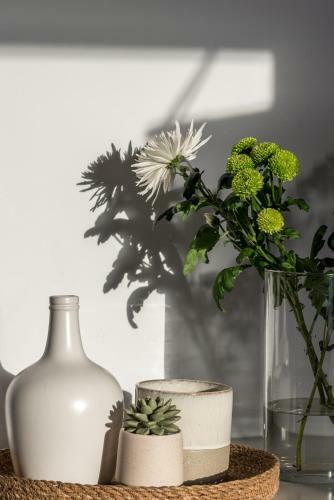 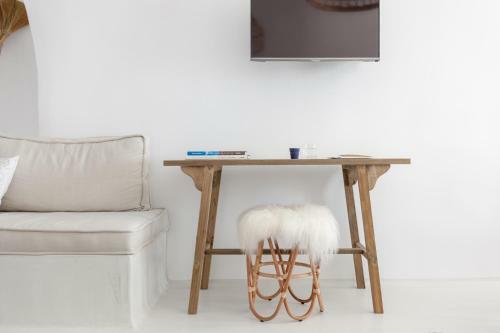 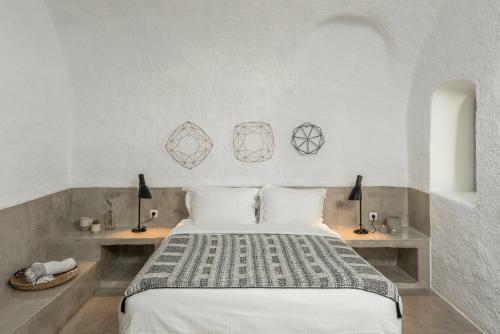 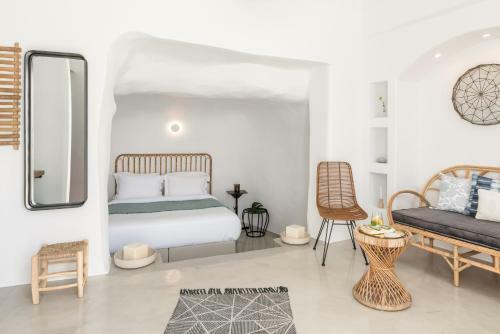 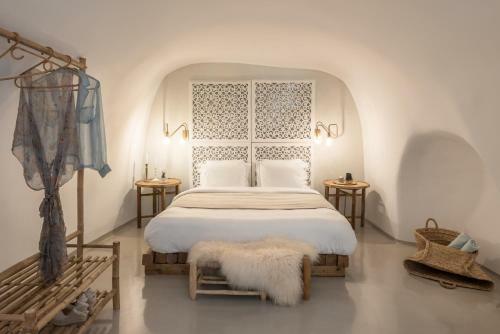 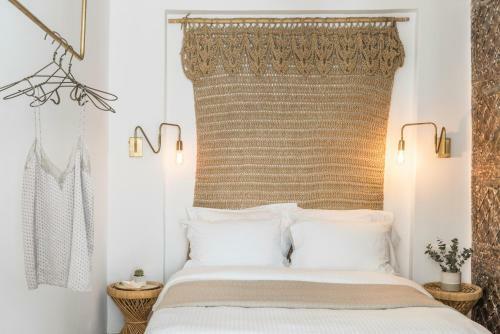 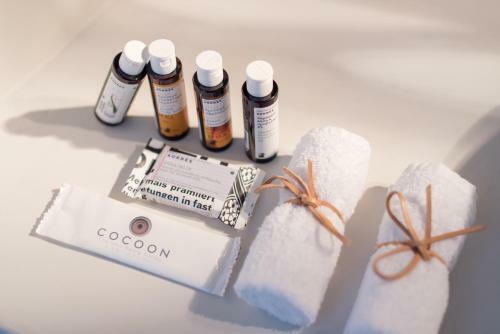 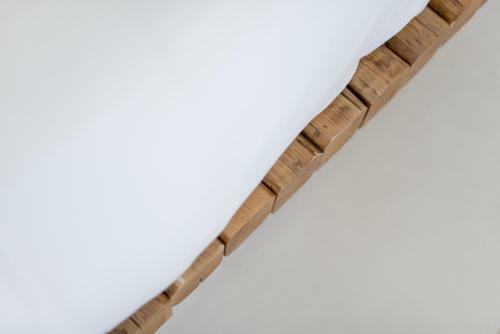 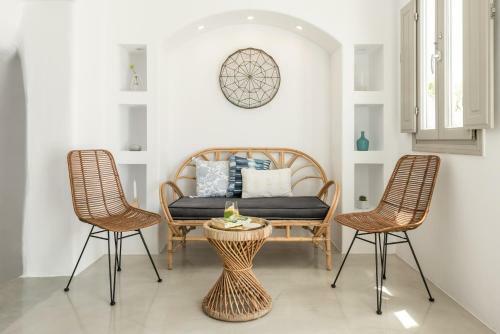 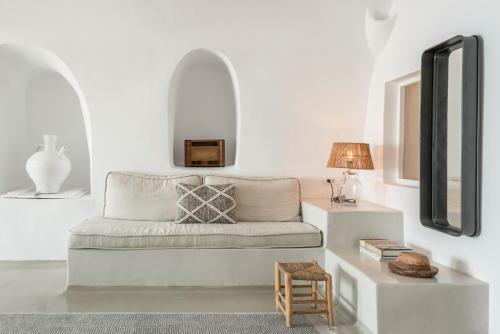 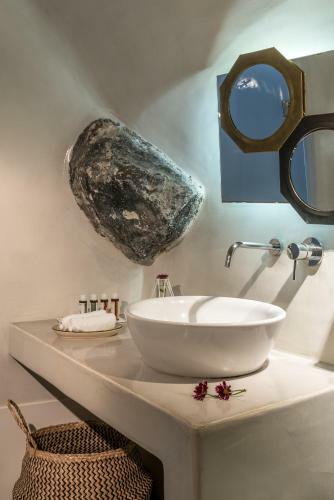 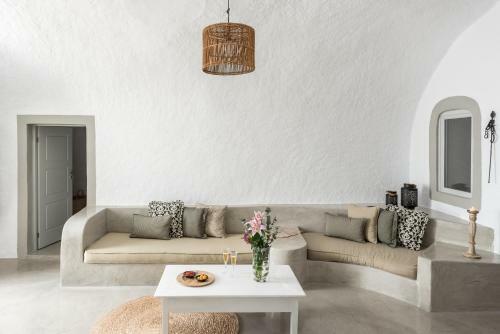 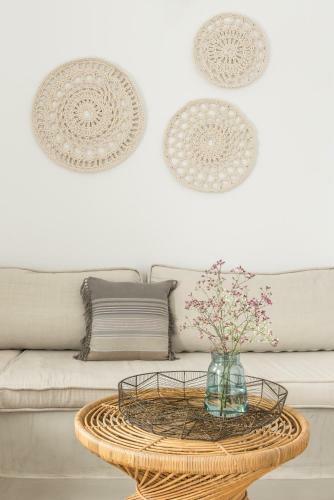 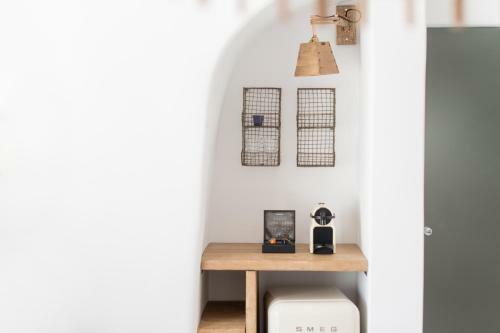 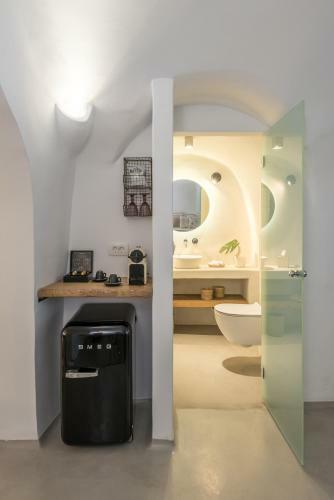 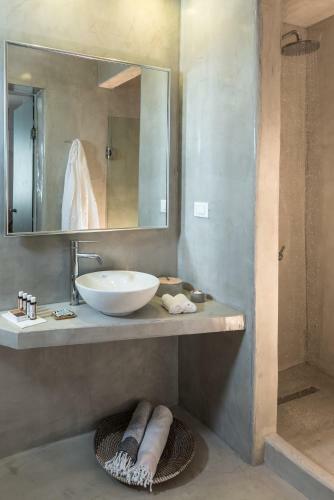 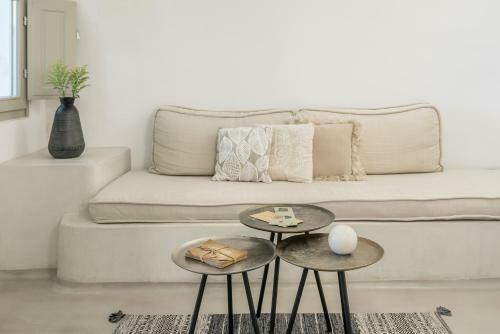 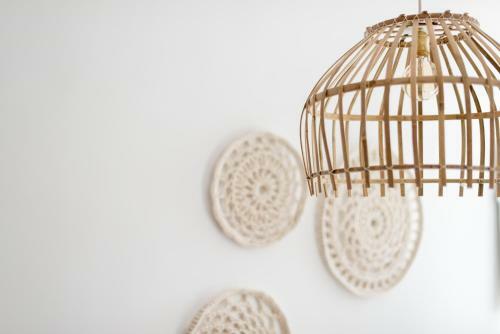 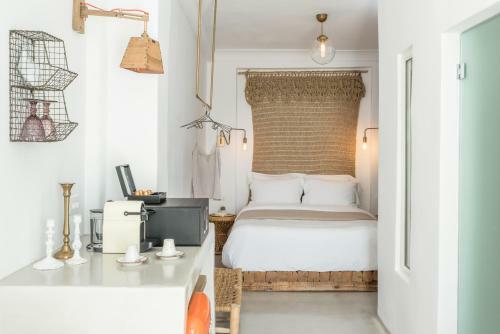 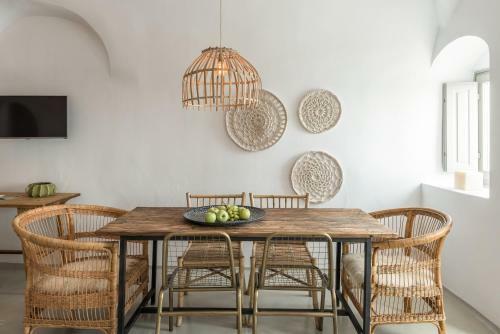 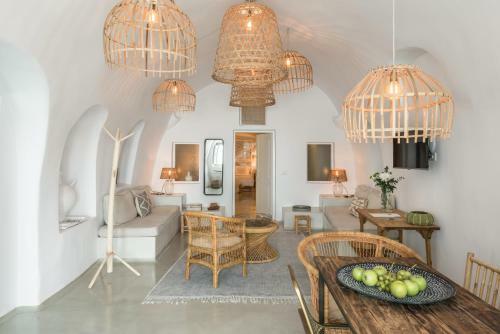 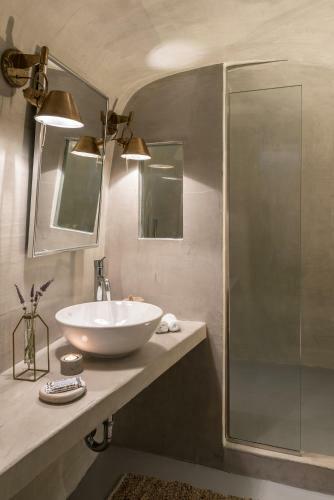 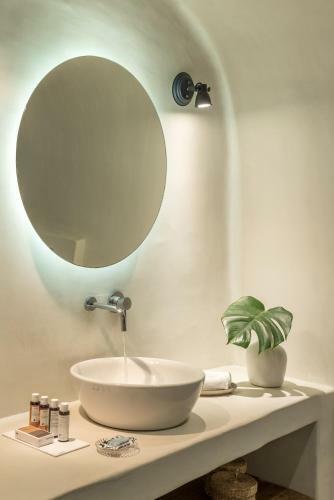 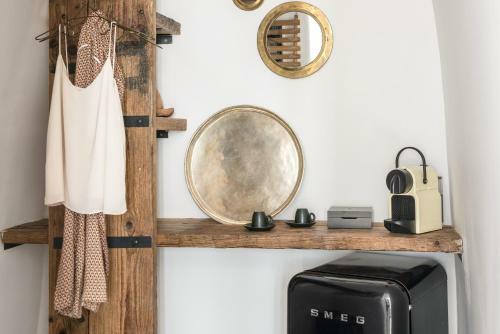 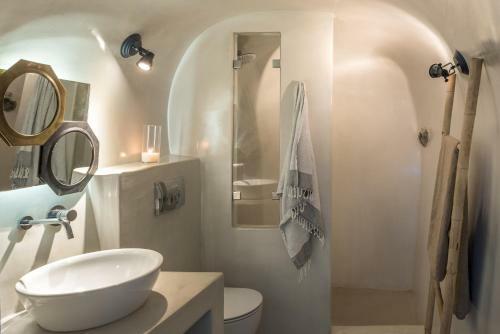 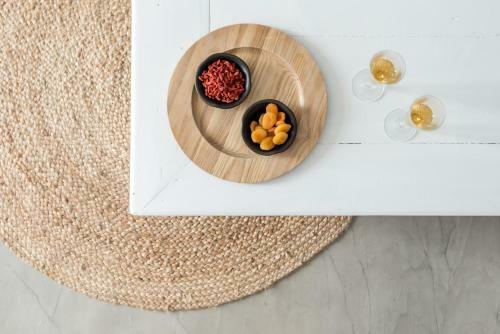 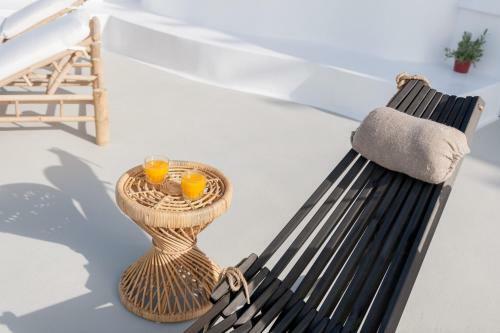 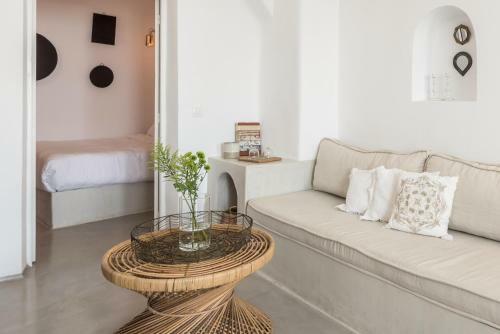 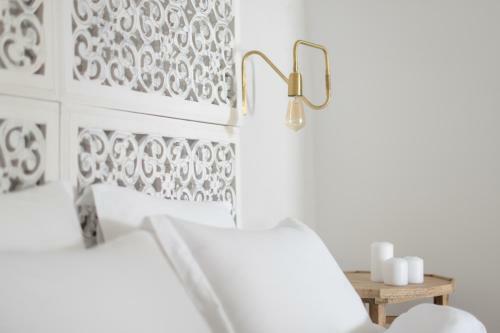 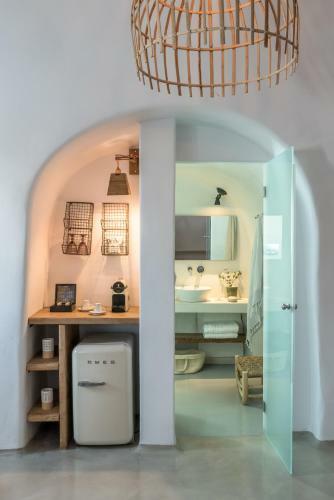 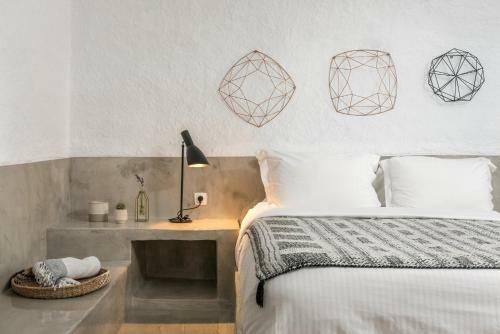 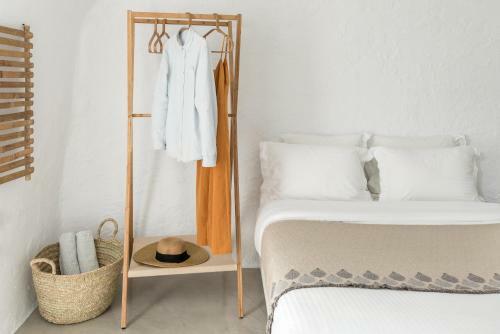 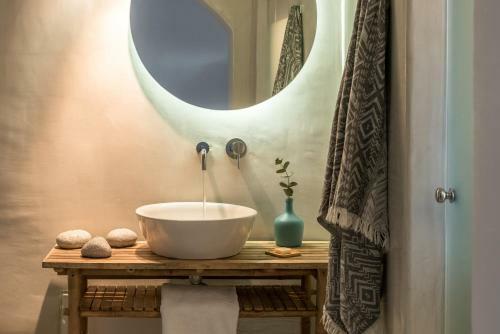 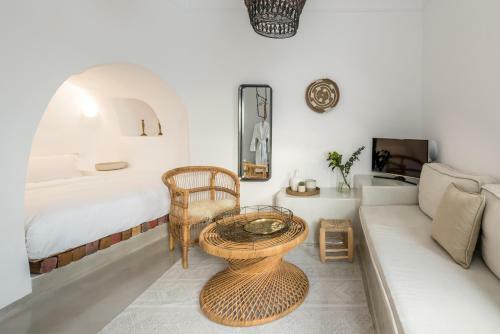 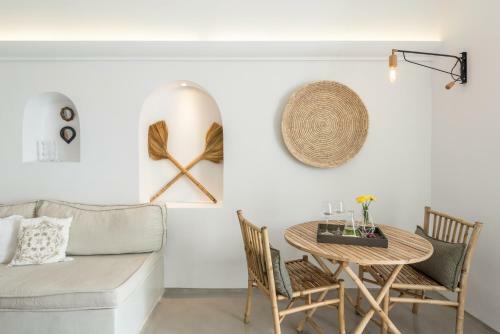 Fitted with natural materials like rocks and driftwood, the suites at Cocoon are individually decorated with well-chosen furnishings and soft colours. 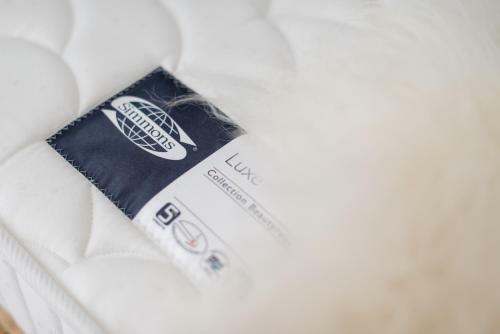 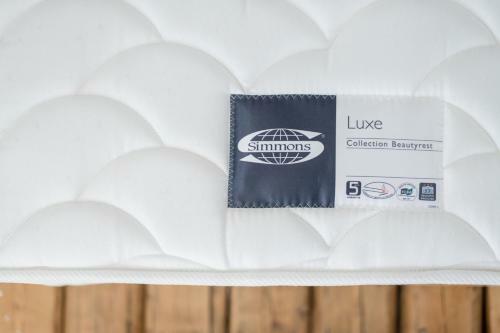 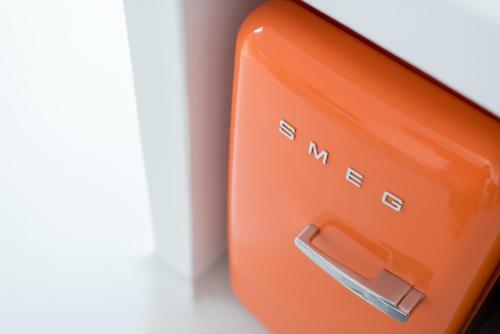 Each comes with Simmons mattress bed featuring revolutionary sleep technology and also includes a seating area to relax in after a busy day. 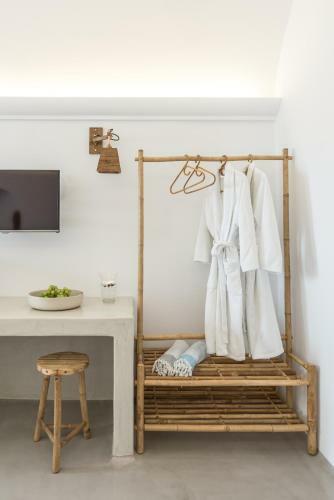 Bathrobes and slippers are available. 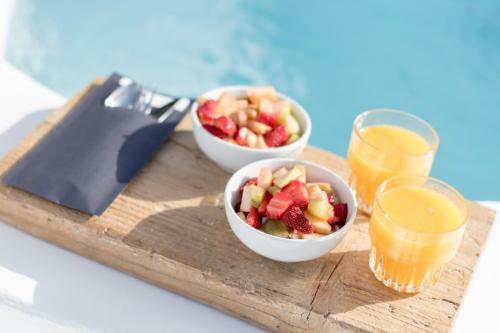 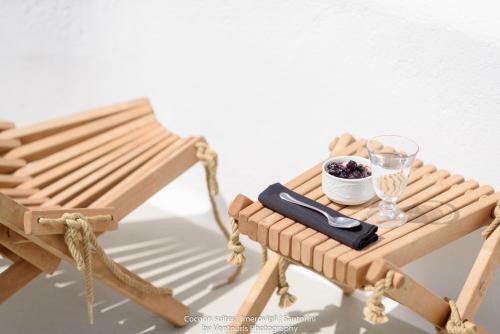 Breakfast including organic and local ingredients as well as espresso coffee, is daily served at your suite or at the balcony with panoramic views over the Caldera. 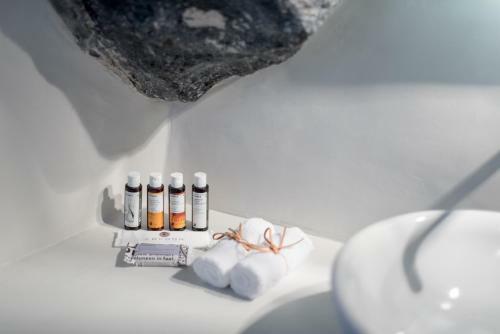 Massage sessions can be arranged upon request. 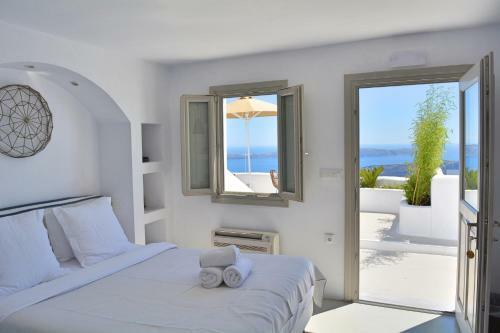 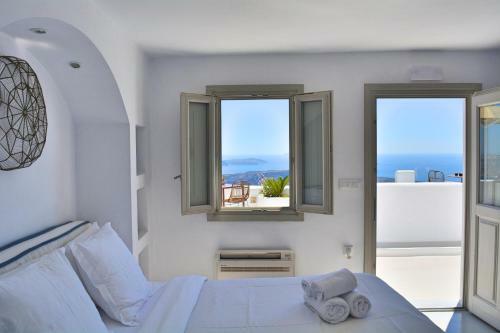 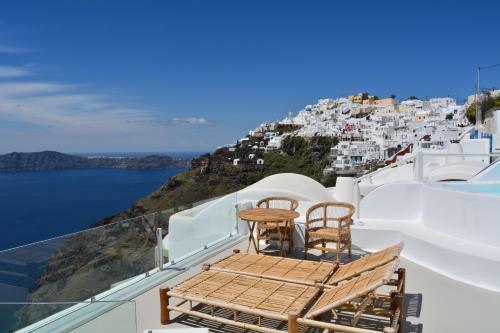 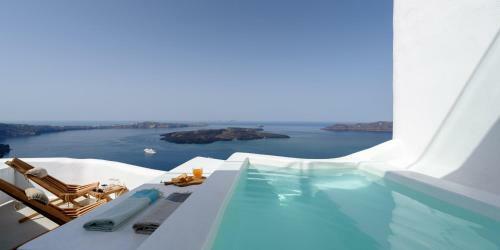 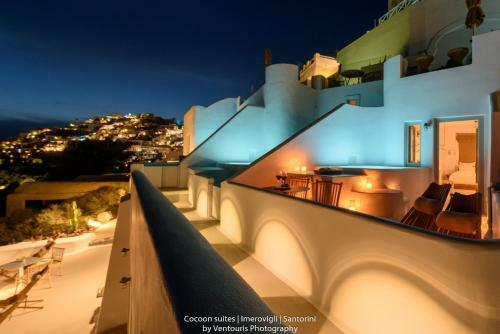 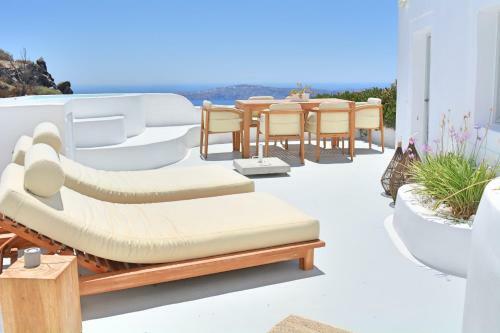 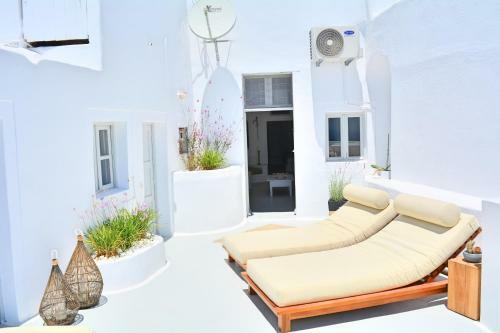 The lively Fira Town is 2.5 km from Cocoon Suites, while the scenic Oia is 10 km away. 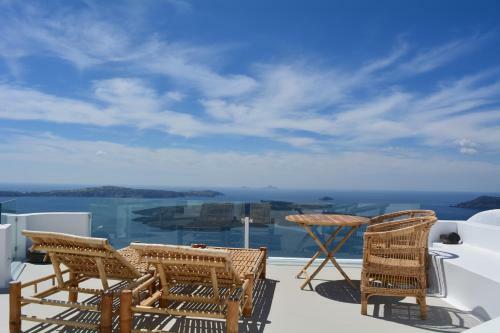 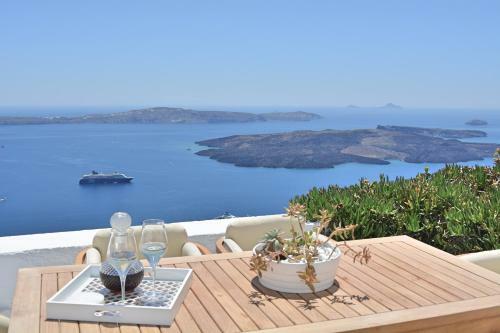 The nearest airport is Thira Airport, 7 km from Cocoon Suites.